This shield uses SONGLE relay, providing 4-channel input and output. The relays are isolated in the PCB. All the channels can control up to 24V DC or 250V AC on 10 A. 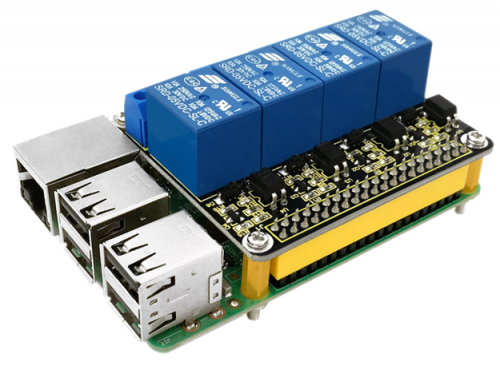 It allows you to control high power components like lights and motors via Raspberry Pi 3. 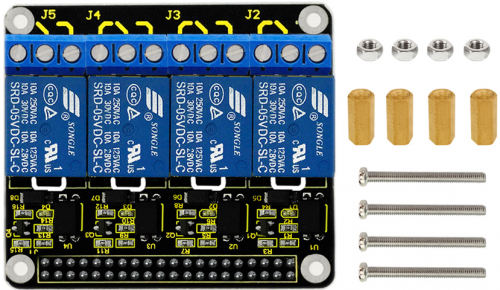 Just plug it directly into your pi with 5 V. You will find a LED indicates the status of the relays. The shield is on the top of Raspberry Pi board and fixed with copper pillar and screws as shown in below figure. 1. 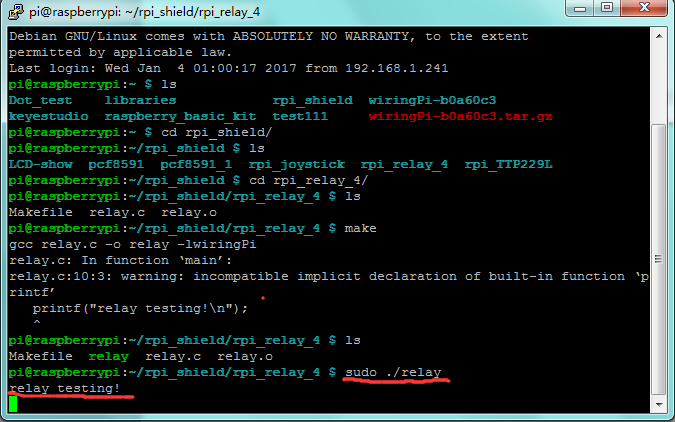 Copy the rpi_relay_4 file and put it into the rpi_shield file through winSCP. 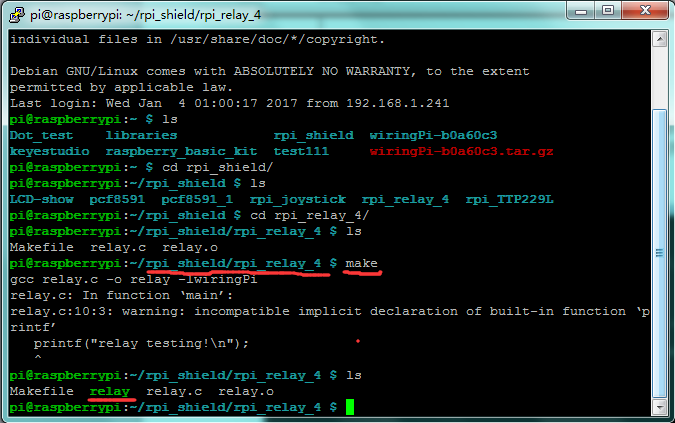 Next, type this command: cd rpi_relay_4 to go inside the rpi_relay_4 folder. Then type this command: make to make an executable file relay as shown in below figure. 2. Finally type this: sudo ./relay to launch the program. Relays are turned on in sequence and then after a short pause turned off in sequence. Then use Ctrl+C to quit the program.